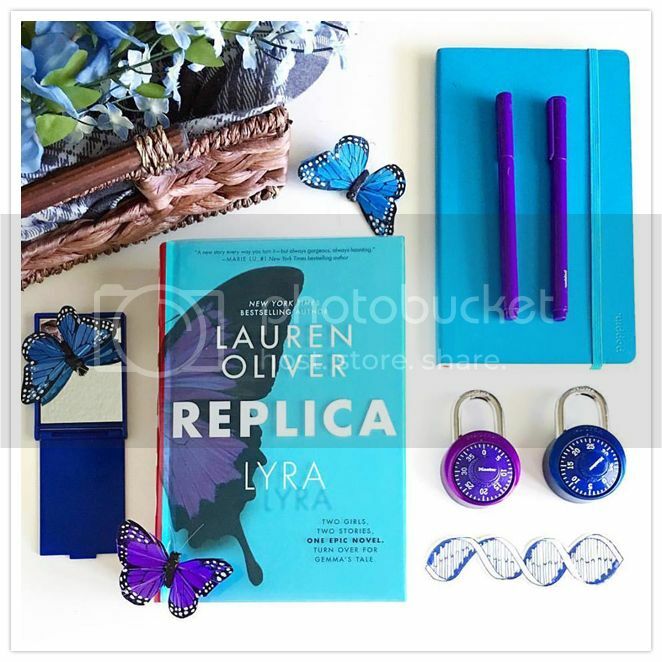 I am a huge fan of Lauren Oliver's books, so I was super excited to start her newest release, Replica! Lauren is auto-buy author for me, so basically, when I hear she has a new book coming out, I preorder first, and ask questions later. *grin*. I didn't really know what to expect when I started reading Replica, but the story was awesome, and I can't wait to get my hands on the sequel! 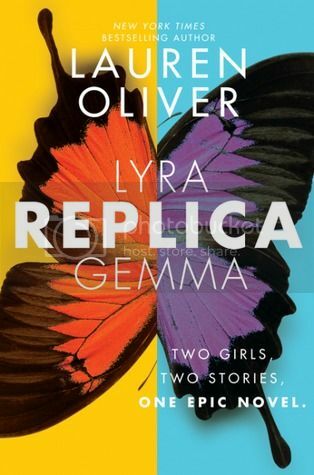 Replica is told in alternate narratives between the two main characters, Gemma and Lyra. I found both of these girls to be completely fascinating. Lyra was sheltered behind the walls she could never escape, completely hidden from the world, and was curious and wanted more about anything beyond those walls. Gemma, was also sheltered from the world, just in a completely different way, and was lonely in her small little world. She never seemed to fit into her world, but oh, she was such a caring young lady, always thinking of others before herself. When these two girls paths cross, their worlds will never, ever be the same again. The biggest question I've seen so far about this book, is, 'How are you going to Read Replica?'. Seriously, there's even a #ReadReplica hashtag! How cool is that? Ahem. There are three ways to read replica. First, you can read it as a normal book. Second, you could read either girls story first. And third, you can read the book through alternate chapters, which is what I chose to do. Having finished the book I see that you could read it either way, but I found reading through alternate chapters was the one that worked for me. SO MUCH SUSPENSE reading it this way! After each chapter was finished, I couldn't wait to flip the book over to read the other girls chapter. SO good. The storyline for the book was very fascinating, and kept me engrossed as I turned the pages. I found the story to be very unique, and it's one that will definitely stick with me. There were quite a few twists and turns along the way that really surprised me. (I should have seen a few of them coming, but I didn't.) The book ends in a very satisfying way, but left me with SO many questions that I need answers for, and I absolutely can't wait to get the next book in my hands so that I can have the answers. Overall; I really enjoyed Replica, and I'm super excited to get my hands on the next book in the series to see what's going to happen next! If you enjoy a good sci-fi read, then pick up a copy of Replica today! OOh nice! The more I hear about this, the more excited I get! I passed on it at BEA, mostly because I had never read Oliver before but feel really compelled by this one! Might just be buying this one! Great review! I just finished writing my review for this one. I enjoyed it but I didn't love it as much as I wanted to. I didn't see that twist at the end coming!